In my Catholic upbringing I was taught to pray to Jesus for issues of higher understanding, the bigger picture of personal development. However, if you wish to have something manifested in daily living, send your prayers to Mother Mary. In this concept Jesus is connection to consciousness beyond the earth and Mother Mary is of the earth. There always seemed to be something missing which is the connection to ourselves and amongst others. Both Jesus and Mother Mary always felt like they were beyond us, as if they were not in the same experience we have as humans. In my search of the mysteries Mary Magdalene’s presence in southern France and Spain I have found the connection I was searching for. Mary Magdalene was a woman who experienced life much like we did: she worked very directly with people, she had a lover in Jesus and bore his child. At the same time she taught more of a practical application to spirituality whose teachings were instilled with the Cathar people in southern France and Spain. She was a “every woman” person, someone we can personally relate to. She practiced intense spiritual work and likely developed some amazing abilities in the process. In Elaine Pagels’ book “The Gnostic Gospels” the author suggests there were 12 female apostles with Mary Magdalene as the leader. This would suggest that in some contexts she was an equal to Jesus in some ways. More importantly, this would lead us to believe the feminine was on an equal footing to the masculine in the eyes of Jesus. This made more sense to me because the feminine is strong and alive in the time of Jesus, however, the era was coming to an end with the masculine stage growing represented by the Roman Empire and later by the Roman Catholic Church. It only made sense in the Catholic, “masculine” point of view, Mary Magdalene needed to be seen by history as a prostitute, a lesser person and not a holy woman. Men in the earlier centuries after Jesus’ death most often saw women as lesser creatures. The concept of the woman who represented the leader of an equal place beside men, had to be pushed aside and suppressed. The age of the feminine has returned in this new two thousand year, astrological era of Aquarius and people are seeking a deeper connection with something more in tune with the times. Feminine aspects such as cooperation, caring and knowing love are the greater target. It is why people have began to identify with Mary Magdalene, or the principles she taught, as her practice of love of each individual is very relevant to the landscape of spirituality at this time. Mary Magdalene represents how we all can bond together in an unconditional love to create something better. As we see in the United States the masculine leadership is beginning to crumble, due to its gross expressions, more people are seeking a different way to be in the world. Mary Magdalene’s practices of spirituality are quite simple, we learn to break down our separations from other people. The walls we have created with our ego and defensiveness are addressed and resolved in order to bond in love and trust with others in a higher way. 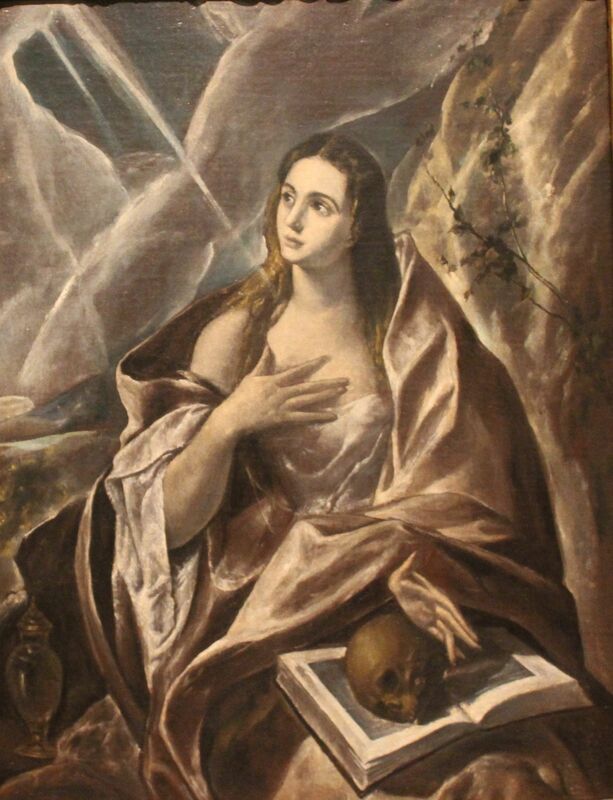 Much of the history with Mary Magdalene and the group who practiced her teachings, the Cathars are sparse but there is information available. History tells us that the Cathars were an idealistic group who practiced their own style of Catholicism which included teachings of Jesus, Mary Magdalene and the feminine aspects of God. There are many secrets about this group held in the lands of Southern France and Spain. One of them is the worship of The Black Madonna which are held in high esteem in many churches’s in these areas. The most popular and likely most energetically powerful Black Madonna is in Montserrat Spain. On this uniquely, shaped mountain, in a huge cathedral, on this holy mountain of Montserrat hundreds of thousands of people come every year to touch the Madonna’s globe she holds. It is one of the most visited shrines in Europe. As powerful as my beloved Southern France is with the presence of Mary Magdalene, I found the monastery of Monserrat, Spain presenting me with a unique perspective of how Jesus, Mother Mary and Mary Magdalene are together in the world. Monserrat is a giant gateway for energies of the higher realms to enter into the mountain and the earth, a part of this heavenly consciousness coming in. The Catholics of Monserratt perceived this energy coming in from divine places centuries ago and built their church alters, prayer benches on the power spots. It was most likely to facilitate their their connection with higher source. The Cathedral and small city of Monserrat monastery is located 700 meters up nestled in the mountain with peaks arising up to 1200 meters. There on the north side of the mountain is a path of shrines dedicated to Mother Mary. In another part of the mountain is a cave where the Black Mountain statue, that is revered in the cathedral, was found in the 8th century. This is a cave dedicated to Mary Magdalene named Santa Cova. At Monserrat all three, Jesus, Mother Mary and Mary Magdalene are revered, having their own special places where their energetic presence is found. It is here where I found the clearest vision of how the energetic dynamics of the three work together. Jesus bringing in the energies of the heavens into the earth and connecting to Mother Mary deep within the earth, her presence coming up from a deep place within the earth to the people (in Monserratt on the North side of the mountain). Of course this is a psychic’s perception. It made sense to me because the energies Jesus is connected to is also a part of Mother Mary. At Monserratt the energy flow completes a cycle of a flow of energy from a heavenly place going into the earth and then back up to the people of the planet, who in turn connect to Jesus. Thus a cycle is completed. Located one mile below the Cathedral city in a small cave is the cave called Santa Cova, is where the Black Madonna was until the 8th century. The church began the creation of a grand shrine for her in the Cave and then brought the Black Madonna up the mountain to the main church where it still remains in a prominent position. However, the presence of Mary Magdalene is strong in the cave of Santa Cova. I walked the one mile journey down the mountain side to this holy cave. As I sat in the shrine I felt an extremely strong energy enter inside me, something grounding in my second chakra, a power guiding me to be more present, stronger in myself. I sat in the presence of this divine place, a completely different feel than Mother Mary or Jesus in their light, etherical vibrations. Within a few moments a vision appeared to me of Mary Magdalene’s presence in the center as the Black Madonna surrounded by twelve Cathar women, outside this circle of twelve was another circle of women and men. This nucleus extended beyond to hundreds of others. The people creating the circles were just as important as the energetic presence of Mary, as if it was their work to be an equal presence of Mary’s love. There in the circle around the Black Madonna (a replica was placed there with the original in the main cathedral) the Cathar circles created the presence of the powerful Black Madonna. Mary Magdalene was a teacher of principles and held the people in love and inspiration to carry out the simple messages of Jesus. The prayer sums it up for me, the Cathar’s bond of holiness was one of loving each other, even their enemies. The feminine aspect of being leads us in this courageous ideal. We feel the love inside and share it, take our actions in community of love. Separation, judgment and ego are not encouraged but people are bonded together in this love to create a community of higher principles. It is their power of god in the here and now, a moment to moment discipline. As I watch the feminine side of leadership today in corporations, communities and in my personal life I see the feminine initiate more of a selfless caring and love towards others. We step beyond ego oriented thinking such as, corporations making maximum profits their highest priority. Instead the new idealism can examine how they can serve communities more. We volunteer more as individuals, bonding with communities to work for a greater good. The maturity of “we are all in this together” mentality grows. Somewhere the long-term target of the billions of people on this planet is to have no separation with each other, we can work together to find solutions that work for all, not the beneficial focus of the top five percent. The feminine has the wisdom to know, we can have prosperity for a greater number of people and solve the world’s problems. It requires a caring for the planet and the people here. The principles Mary Magdalene teaches us, resonates with such values, “love becomes more completed when it is shared.” We care for our common man/woman more. A new era is upon us and the guidance of Mary Magdalene is more relevant than ever before.